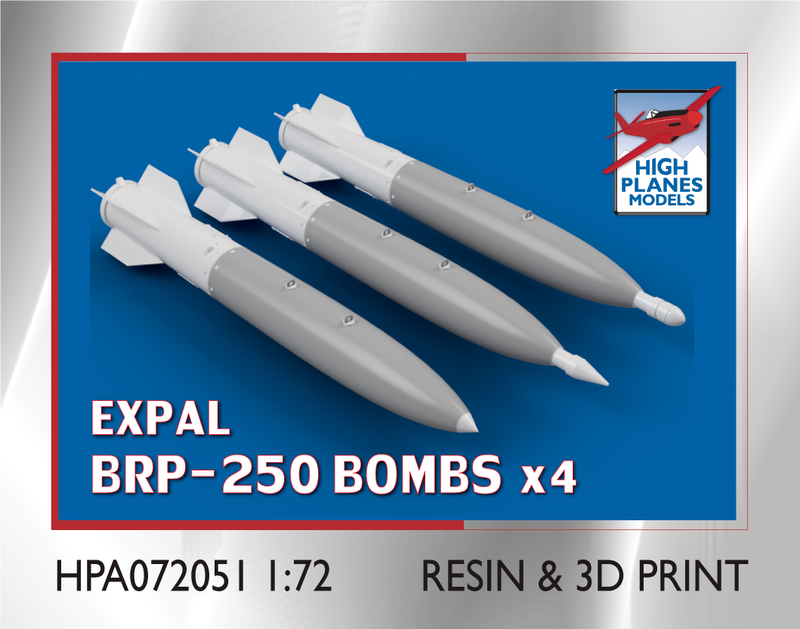 We have added 1:72 & 1:48 Expal BRP-250 bombs to our accessories range. 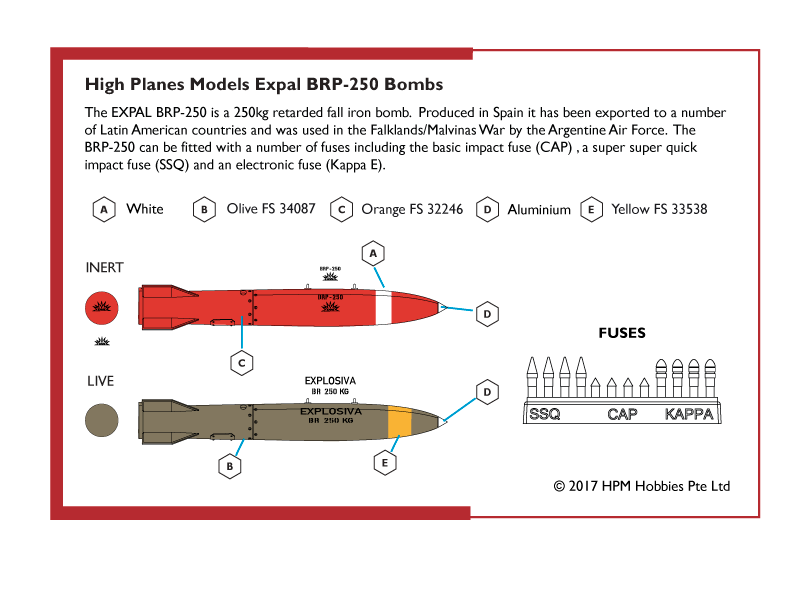 These Spanish bombs were widely exported to Latin America and used by the Argentine Air Force in the Falklands/Malvinas War. The sets include resin cast bomb casings & fuses, 3D polymer print rear housing and fin, plus stencil decals. 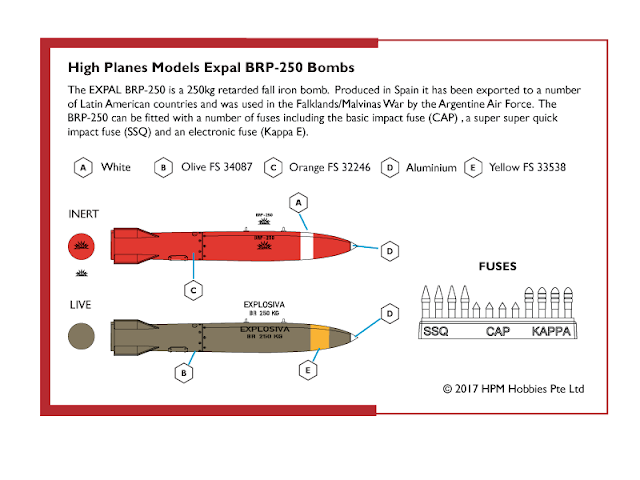 Four bombs are in each set.